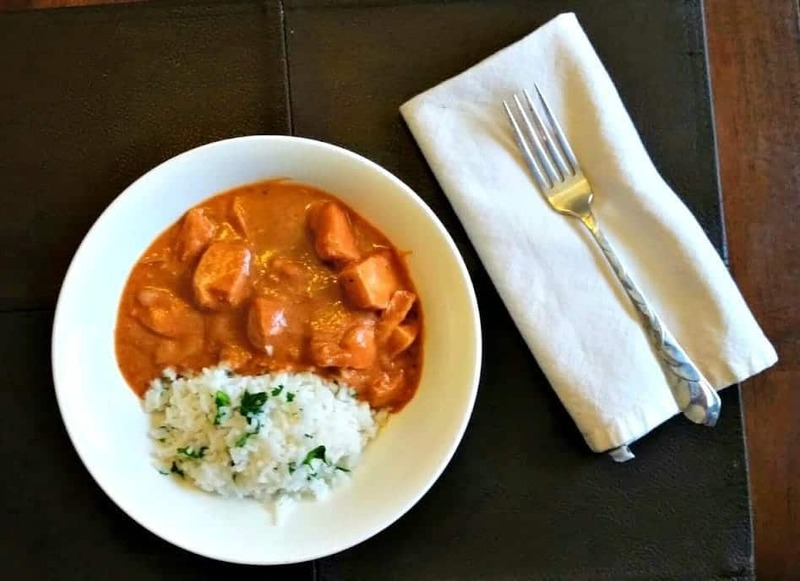 Delicious Indian inspired chicken tikka masala in the crockpot is a winner! Set and forget, except for the delicious smells coming from your kitchen! I lovvvve Chicken Tikka Masala. 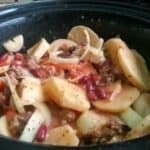 It’s usually a bit of a time investment, so I REALLY loved this recipe – because using a crockpot to make it gives me lots of hands off time. 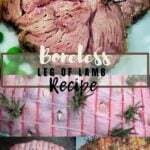 This has a beautiful color, complex and delicious flavour and is now on the permanent “here’s the recipe to use for this” list. It DOES have a long ingredient list, but it’s really not that difficult to pull together. I actually had everything already in the house, so no need for an extra store trip. 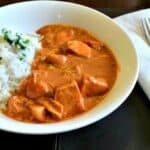 If you’re a fan of indian food (and if you’re new to it – try this first, it’s a great intro to the cuisine!! This is mild, I promise), you’ll love how easy this is, and how amazing the flavours are with very minimal effort. Get on it! 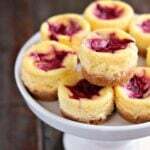 Try these recipes for serving! Want more crockpot ideas? Of course you do! 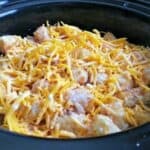 Chop the chicken breasts into bite sized pieces, then add with the potatoes and onions to the crock-pot. In a large bowl, whisk together the tomato sauce, yogurt, coconut milk, garlic, ginger, olive oil, spices, and corn starch until smooth. Pour over chicken and potatoes in the crock-pot and combine. 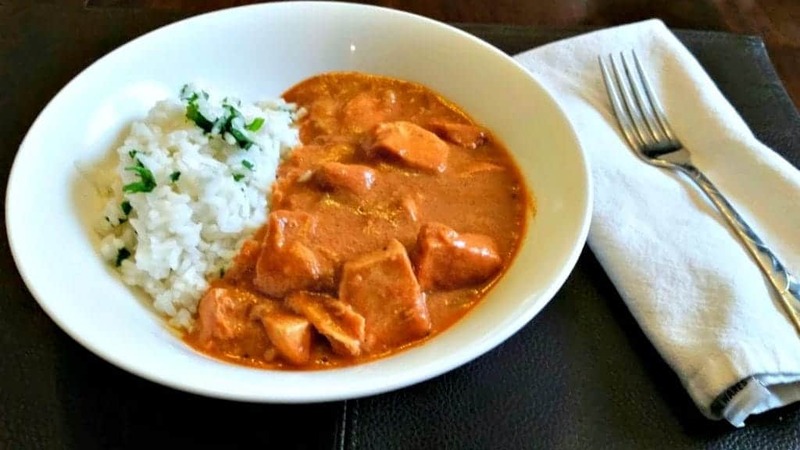 Serve chicken over prepared rice topped with chopped cilantro. I'm glad you've enjoyed my Crocktober series! I'm kinda sad it's not Crocktober anymore, but also glad I don't have to do so much work to put together the weekly meal plans. I'm also amused at the idea of this being accidentally made with ketchup and how funny it would taste. Haha. Lol. Yep, if I didn't point it out, my friends and family back home who call ketchup "tomato sauce" could be in for a surprising and not all that wonderful flavour experience! Hi Kylee, this is one of my favorite dishes! love it!